Conflict and displacement often leave the deepest psychological scars in children. Six-year-old Kareem* struggled with overwhelming anger and sadness as he grew up in a refugee camp in Lebanon. But Kareem’s mother refused to give up on him. Now he’s thriving in a Concern education program that’s designed specifically for refugee kids. Kareem* was born into war. The crisis in Syria turns six this year, and so does he. And by the time he was a toddler, that war had made Kareem a refugee — his family fleeing to Lebanon for safety. When they left Syria, Kareem’s family was ripped from everything and everyone they knew, and the stress and anxiety of displacement left its mark on Kareem especially. He became increasingly isolated from other children and attached to the only constant in his life: his family, and in particular his mother, Mahira*. Parents everywhere can empathize with the struggle of leaving a sobbing child at school. However, for most children those emotions are quickly forgotten — not tears all day, every day, as they were for Kareem. Having lived through so much, Kareem was struggling to cope. When the time came to begin school, Mahira knew that the mainstream Lebanese system simply wasn’t an option for Kareem. 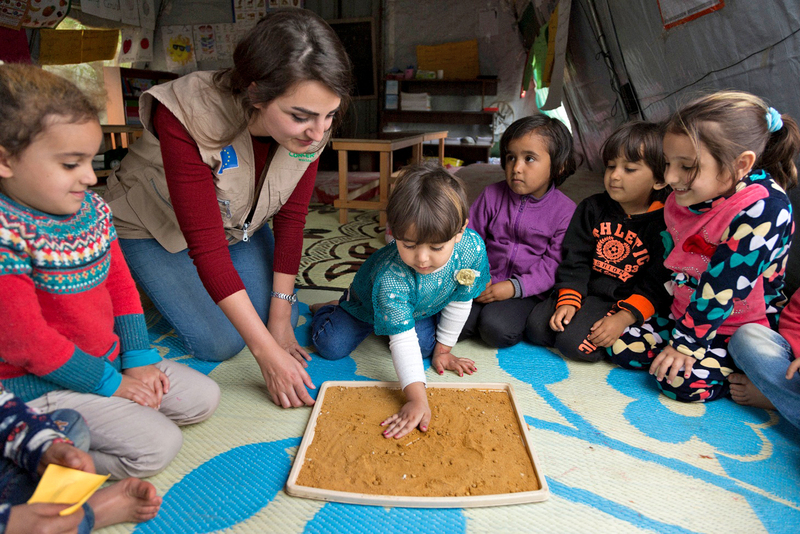 So she was relieved to discover Concern’s early childhood education (ECE) program, funded by ECHO — the European Commission’s humanitarian aid department — which helps to prepare Syrian refugee children for formal education in the Lebanese system. Kareem — like so many others — is haunted by those he left behind and keeps asking his mother where his grandparents are. Over time, under the guidance of our facilitators, Kareem learned to hold a pencil and write. He can now write in Arabic and French, and is able to sing songs in both languages, too. Concern Worldwide education officer, Nour Al Hajal, with a group of children attending a non-formal education program that focuses on early childhood education in northern Lebanon. 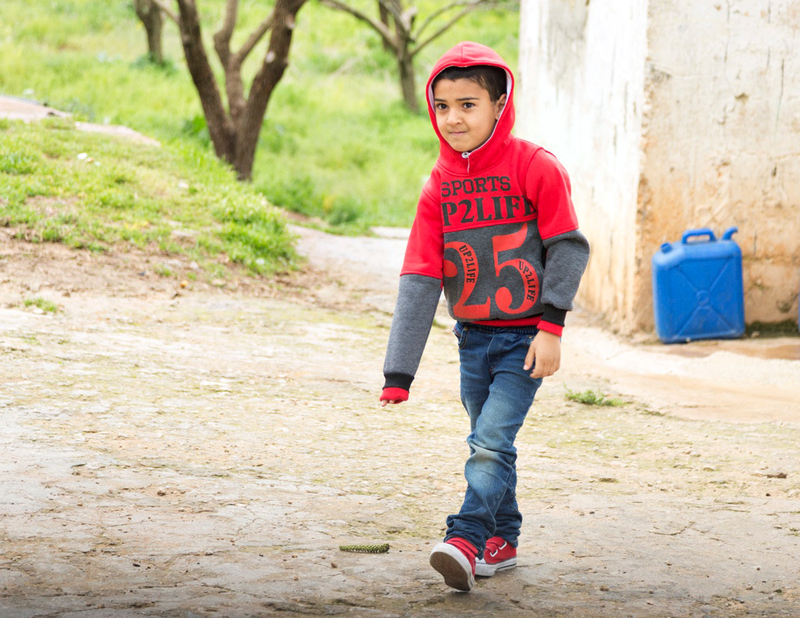 Our ECE program has provided a stepping stone for Kareem to make the leap into formal education in Lebanon, and his mother is now confident that he will cope well when the time comes. He has become more active in class and is now mixing well with the other children — he even has a best friend named Asif*. His aggressive outbursts at home have stopped, and he dreams of what he might become when he grows up. Of course, the challenges facing Kareem’s family and the 1.5 million Syrian refugees who have sought safety in Lebanon have not disappeared. Kareem — like so many others — is haunted by those he left behind and keeps asking his mother where his grandparents are. But Concern continues to work with communities to help ensure that Kareem and his peers won’t become part of a lost generation. In addition to early childhood education, we’re also providing Syrian children in Lebanon with homework support and classes for basic literacy and numeracy in French. For children like Kareem, who are struggling to process their emotions, we offer psychosocial support and engage and encourage parents through parent and caregiver groups. 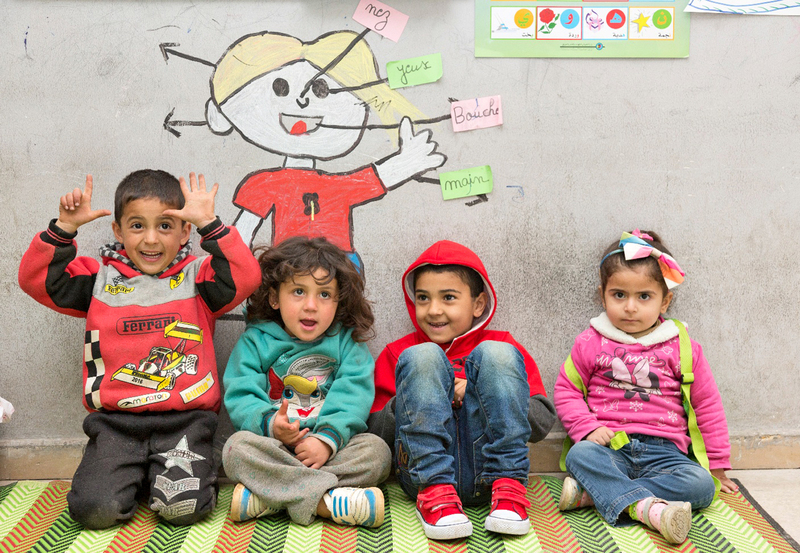 Since 2016, our ECHO-funded education programs in Lebanon have helped 2,614 children. The present is undeniably challenging but our aim is to ensure that a different future is possible for Kareem and the children of Syria. I dream my son will continue his education. Since he took the correct first steps with Concern, I believe that he is on the right path. I will encourage him and I know that organizations like Concern will help him succeed. Want to receive updates on our work in Lebanon and across 24 countries?